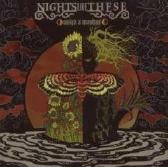 "Sunlight at Secondhand" by Nights Like These (man, what a great name for a band!) is a power packed detonation of metal music. From the very start, the CD explodes with a high level that never lets up until the album finally comes to an end. Now, on the other side of the coin, the vocals are extreme to the detriment of all else and frankly the singing style brings the entire project down. I could only understand about one in four words and everything else sounded like a painful scream. This band has a lot of potential and talent, however the excessive vocals get in the way of a higher score. 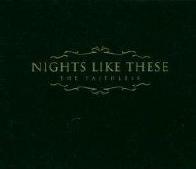 For more information visit http://www.nightslikethese.net. Hailing from Memphis, Tennessee the metalcore outfit Nights Like These make their debut with “The Faithless” on Victory Records. Nights Like These is technical metalcore – yet somehow “The Faithless” doesn’t forsake raw emotion and the occasional inclusion of melody and creative breakdowns. Upon hearing “The Faithless” it is readily apparent that Nights Like These are similar to The Red Chord and Between the Buried and Me. This similarity lies in the way that the band changes paces frequently and somewhat unpredictably. The band adds timely death metal-like blast beats, an overall intensity that is not too dissimilar from grindcore, yet contains some doom-like elements not unlike Mastodon. The eleven tracks on “The Faithless” blaze by in 26 minutes – it’s a helluva ride while it is happening, but something is amiss as there isn’t much substance to absorb after the fact. I might be missing the point – either that or a few years down the road I, along with others, might look back on “The Faithless” as something along the lines as the beginning of the post-metalcore sound. But I think we’re all a long way from being there to make that determination. “The Faithless” will definitely appeal to fans of modern metalcore; it definitely appeals to me as I’m often in the mood where The Red Chord and A Life Once Lost completely fit the bill. I’m just not certain Nights Like These’s “The Faithless” has the staying power to appeal to a broader range of metal fans. “The Faithless” was produced by Nights Like These and Andreas Magnusson. Nights Like These: Billy Bottom on vocals, Matt Qualls and Derren Saucier on guitars, Sebastian Rios on bass, and Patrick Leatherwood on drums.